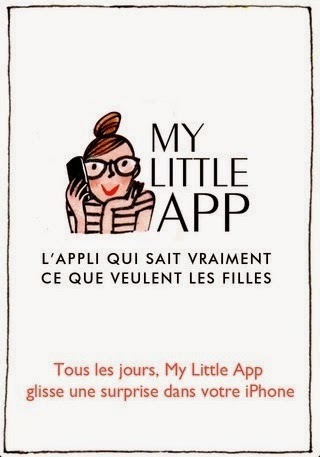 From the creators of the popular site My Little Paris and monthly gift service My Little Box, comes My Little App. Each day, My Little App slips a surprise in your smartphone whether it be an adorable how-to hair tutorial, a sneak peek at a best-selling book, a free download of a hot new app or a promo code to get exclusive deals on popular brands. Download it now! Each week, Parisiennes are eager to get their hands on their copy of Stylist magazine, a free publication chock-full of the latest fashion, beauty and lifestyle trends. Ordinarily distributed in metro stations, it’s also available for iPhone and iPad so that fashionistas all over can stay up-to-date on the hottest style news. Download it now! Getting from point A to point B in Paris’ complex transportation system has never been easier. Set an itinerary with your phone, and forget about facing those big, intimidating maps found on the walls of each station. Plus, receive traffic alerts in real time and locate metros, RERs, buses and trams in proximity. Download it now!